What does Conquest’s Standard Home price include? Our standard home pricing includes: floor plan, product design services, all framing materials and interior/exterior finishes, HVAC, plumbing & electrical, freight & setup on site. How much does it cost to build with Conquest and how long does it take to deliver a project? Pricing of a Conquest-built project varies greatly based on the scope of work, quality of finishes, and complexity of the design. These costs, well in line with similar site-builders, have one primary difference: Conquest is able to provide a guaranteed fixed contract price before starting any construction. Once an agreement has been signed, a complete home can be completed in three to six months, depending on the scope of work and the build site. Will you deliver/install on my property? Yes! We deliver and install all of our projects across Manitoba, Saskatchewan, Alberta, Ontario, British Columbia, and the Northwest Territories. We also deliver to North Dakota and Minnesota. What is an RTM Home? An RTM is a “Ready To Move” home. It is a house that is built offsite and moved in one single piece. All Conquest builds are built indoors in our 35,000 square foot facility. Modular construction consists of sectional prefabricated buildings or houses that are made up of multiple finished pieces or sections called modules. 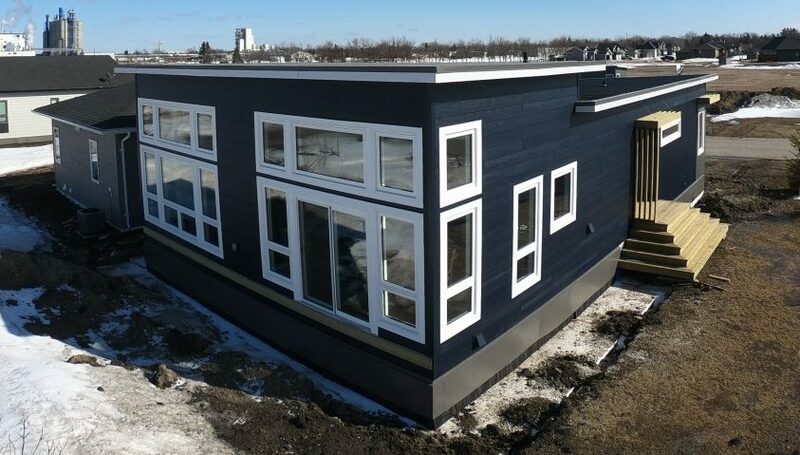 Modular homes are built in sections in a climate controlled factory setting and transported to their location where they are assembled on site. What is the largest size building you can ship? Each Province and site location have a different set of guidelines. While some sizes of RTM builds do have limits in regard to shipping heights, widths, and lengths depending on what province or state they are shipping within. These types of circumstances are one of the first things that get discussed so we know which way to approach your project. The great thing is when the size of the building becomes too large to either ship on the highway or get into the property in one full size piece, we can break it down into modules and then assemble on site. We will always explore every option available to make sure we are able to provide the best possible solution for your specific building project. Depending on your location and site accessibility we can move a single structure as big as 40’x80’. Can I custom design my dream home? Yes, we are a complete custom design builder. We do all designs, selections, and building in-house at our facility. Can I build a Modular Home anywhere? 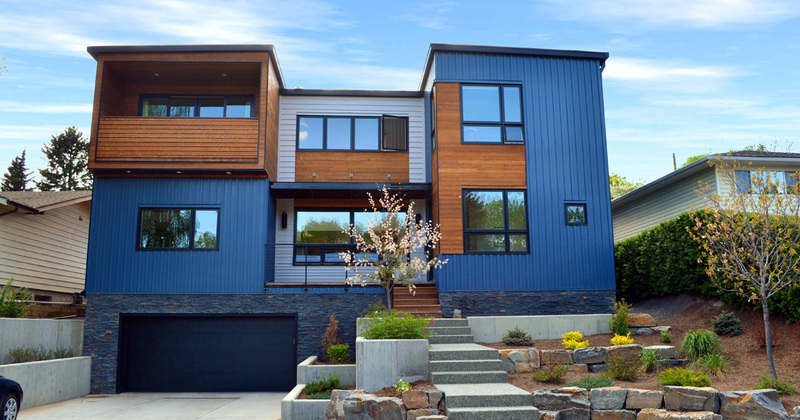 Yes, all of our homes and structures are built under the CSA A277 certification, which adheres to the same codes, permits and standards as site-built homes. Placing a Modular or RTM build in a typical residential or commercial development is as simple as it is for site-built homes. Can you provide a complete all inclusive building package? Yes, we can take care of the entire process for you. This includes your sewer/water hookup, excavation, as well as basement or foundation/site work. What kind of Warranty do your homes come with? All of our builds come complete with a Conquest one year comprehensive warranty as well as a ten year structural warranty. 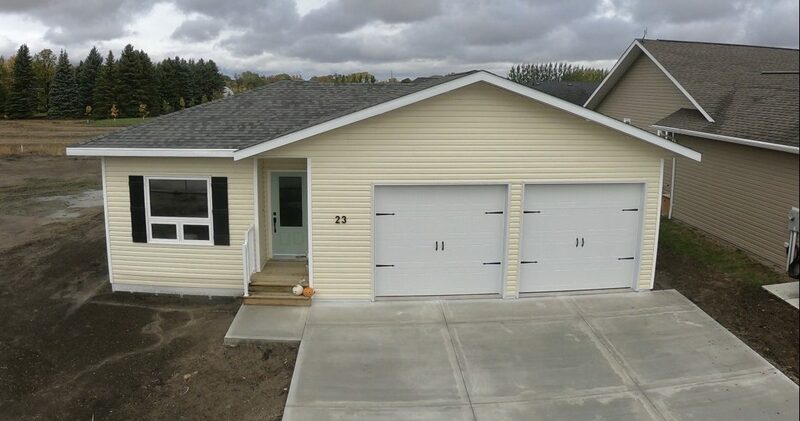 Each of our homes within Manitoba are also registered with the Manitoba New Home Warranty Program. What are the advantages of a Modular or RTM build over a traditional site build? One of the greatest advantages to modular or RTM builds is time. Selecting a modular or RTM build means you can get into your new home faster. A modular build also provides you with a stronger, precision engineered structure that is not affected by weather delays, because of our indoor construction. Reduced site waste and little neighbourhood disturbance are also advantages along with the ability to exceed existing and future energy code requirements. Finally, there are no surprises with our modular builds; the price we list on your contract is the final price. Conquest builds well-designed, quality homes and commercial buildings designed to fit the lifestyle of our clients, and optimize the use of their property. We work with our clients to optimize the advantages of modular buildings with extremely functional, flexible, open, and expandable floor plans that adapt to the changing needs of our clients. All Conquest builds are built indoors in our 35,000 square foot, climate controlled facility. We will work with our clients to minimize the amount of energy, water, and non-renewable resources that are used to build and operate. Conquest-built projects are prefabricated, meaning we’re able to achieve a higher quality level much faster, and with less waste than similar site-builders. Does Conquest have any building certifications? Yes, our ongoing commitment to high quality building is backed up by our CSA and ISO certifications. CSA is the quality standard benchmark in experience and expertise when it comes to testing safety and reliability standards in products. This ensure our homes are tested for compliance with requirements for quality, safety, and reliability by experts that are respected all over the world. ISO demonstrates our ability to consistently provide a product and service that meets regulatory requirements and we aim to enhance customer satisfaction through our quality management system. Where is my Conquest project built? Conquest Manufacturing is located in Altona, Manitoba.